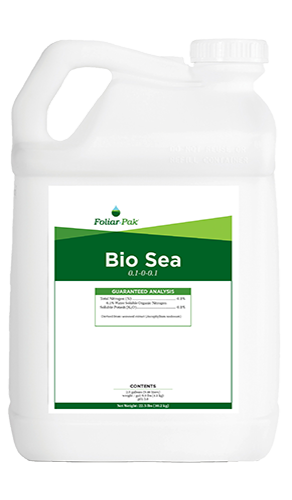 Foliar-Pak® Promote is a powerful combination of highly concentrated sea plant extracts. 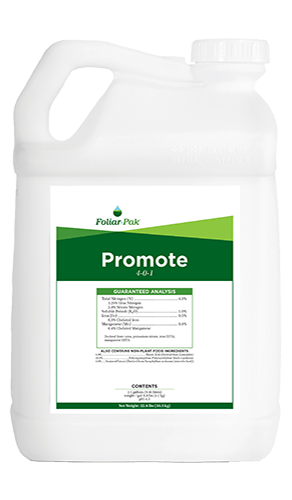 Foliar-Pak Promote is a powerful combination of highly concentrated sea plant extracts, humates, and wetting agents. Foliar-Pak Promote can be used effectively as a fertilizer for turf, ornamentals, and trees. Uses include foliar applications, soil drenches, and deep root feeding. When applied regularly, turf plants will maintain more balanced growth under difficult conditions including high temperatures, extreme drought, high salinity, low mowing, high traffic, herbicide applications, and disease pressures. 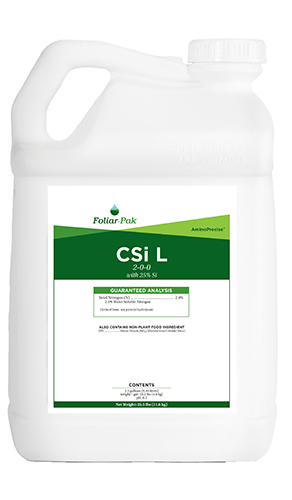 Foliar-Pak offers a good value. It performs as well—if not better—than some more expensive brands. And I like that I can control what I’m putting down and modify or change it a little depending on the time of year or amount of stress.